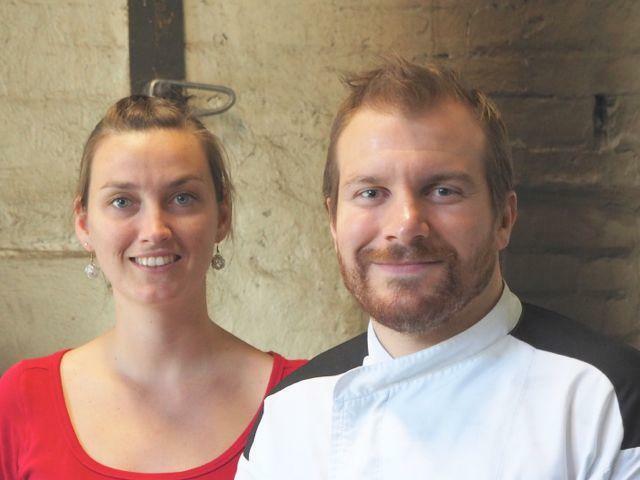 The French couple, who backpacked around Australia together three years ago, took over the bakery in March 2014 and have established a small, tasty menu of traditional French fare, plus some Aussie favourites like sour dough bread. 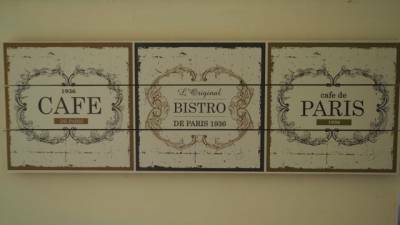 The couple are both from small villages (Cabrol is from Tyrosse, in the South West) and want to encourage the same kind of village feel in their new home. "We have a nice little lounge where people can enjoy and relax with a cuppa,” she says. The bakery can seat up to 50 people, with a cosy courtyard as well as tables and chairs at the front of the premises. 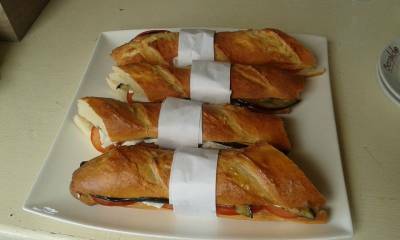 Option of one lunch dish such as casserole or ratatouille: chicken casserole, with capsicum and tomatoes, served with jacket potato with cream and fresh herbs; ratatouille, a French-style vegetable dish. 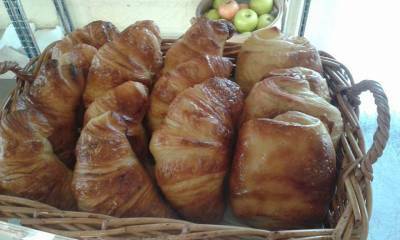 Daily selection of bread and pastries. Bridie Walsh is a freelance journalist.